Don Hoffer, Donald J. Hoffer Insurance Agency LLC, provides flexible business, individual and family insurance and protection services. Their personal touch will help ensure that your business dollars are working harder. Don provides cost-effective solutions tailored to meet the needs of the employer and their employees as well as individuals and families. Learn more by reading on! We’ve been offering benefits for over 30 years, creating money saving solutions for business and individuals. You were chosen as this month’s Milestone Member. Tell us about your Milestone achievements. We make sure you get the coverage and end results you expect and deserve. Nobody offers more guarantees than us. Our one constant is change. Flexible people who embrace it will survive and prosper. Darryl Gullickson (also an OffiCenters Member) suggested I set up shop here. It worked. I’m not an 8 to 5 guy. The ability to see the future to better serve our clients. We reduced our expenses and increased revenue; also our OffiCenters staff is organized and committed. 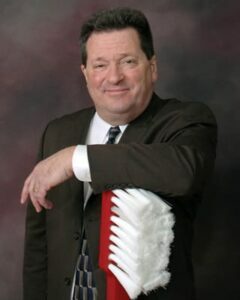 www.donhofferinsurance.com or by phone (952-582-2995), email (don@donhofferinsurance.com), fax (952-582-2996), Facebook. Call me or just stop in.